Whip this up during your next all nighter. You'll be surprised how many friends you never knew you had. 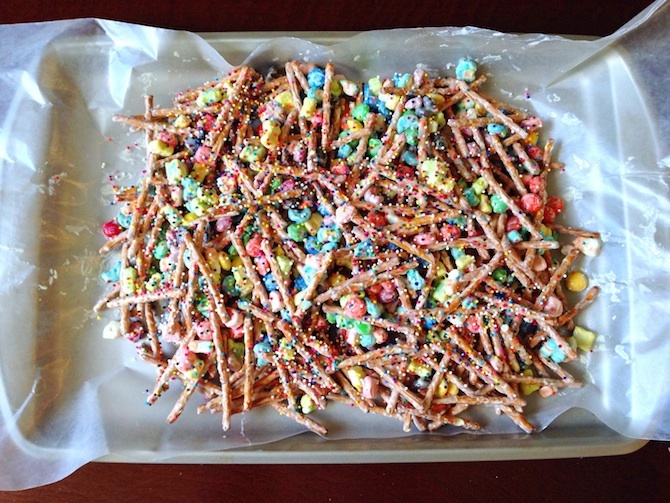 This study snack takes you back to your hungriest childhood moments painstakingly searching for the marshmallows in your bowl of Lucky Charms, stuffing handfuls of salted pretzel sticks into your mouth at lunch, and of course, M&M’s (the hottest party favors around). 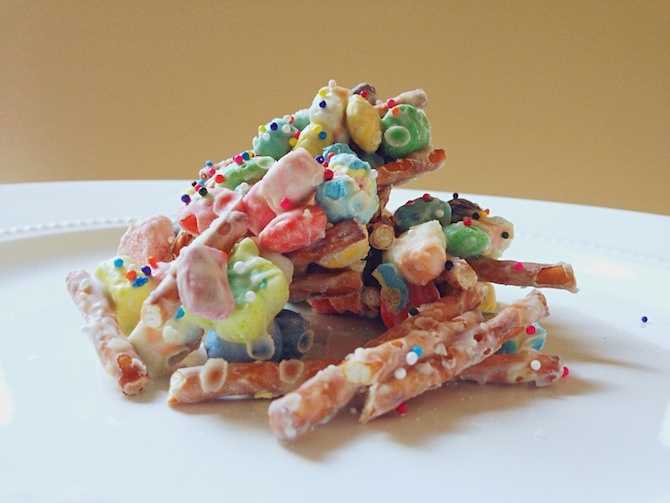 Lucky Charms Munch is super quick to make and then you just let it cool. You’ll probably lose some ingredients along the way due to their irresistible nature, but being exact doesn’t matter when something is this Magically Delicious. Snap a picture, send it to your friend,and you’re automatically their favorite person. The best part aside from your newfound luckiness? Licking the melted white chocolate off the sides of the bowl. Find the original recipe on Deliciously Sprinkled. 1. 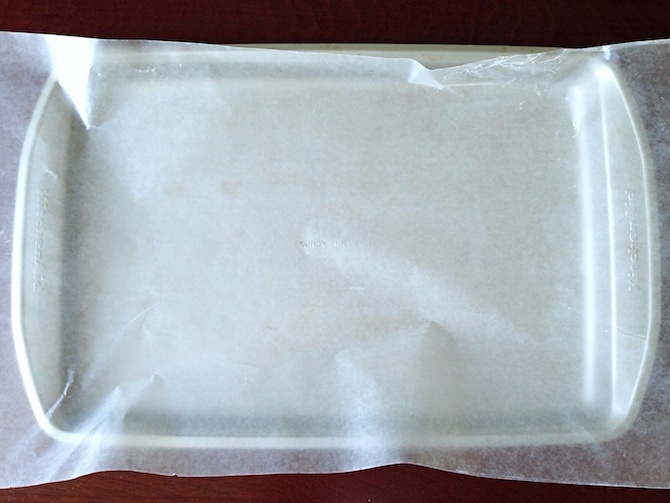 Place a sheet of wax paper on a baking sheet and set it aside for later. 2. Separate the marshmallows from a box of Lucky Charms and add them to a large bowl. 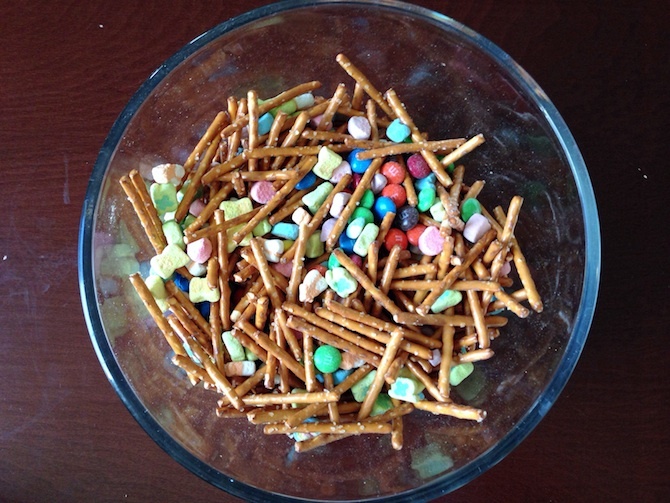 Add six cups of salted pretzel sticks and two bags of M&M’s to the bowl. Hand toss the ingredients in the bowl until they are spread evenly. 3. Place 8 ounces of white chocolate in a separate bowl. If you are using white chocolate bars, break them into small pieces so that they will melt easily. Place the bowl of white chocolate in the microwave. Heat in 40-second intervals, mixing in-between, until the white chocolate is melted. 4. Slowly add the white chocolate to the bowl containing the marshmallows, pretzels and M&M’s. Use your hands to thoroughly work the white chocolate into the mix. 5. Spread the mixture across the wax paper on the baking sheet. Add rainbow sprinkles to the top. 7. Once the munch has dried, break it into pieces and get lucky!